You will notice how the following inventions changed the world in the last 200 years. John Walker a pharmacist used to prepare a lot of mixtures for his trade. One day he noticed that a dried spot of the mixture got aflame when he tried to scrape it off. After a few trials he discovered that by putting the dried mixture on the wooden sticks, the flaming could be repeated. He was amazed and started to sell off the sticks as “friction Lights”. Initially, these sticks were sold as part of card board. Soon they were replaced as 3 inch long wooden splints. Sandpaper were used for striking these splints. Friends advised him to patent his invention to which he replied in negative so that idea may catch on and be used for the benefit of the human being at large. 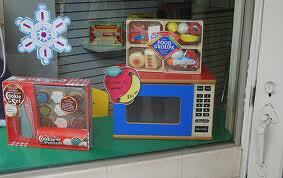 Microwave oven is believed to be the most noticeable helpful gadget of modern times. It has made the life of the human being much easier. It was discovered by accident by Percy Spencer in 1946, an engineer of the Raytheon manufacturers of radar. They were working to repair the magnetron of the radar when it was noticed that a candy in his pocket melted. It was learnt that some Electro-magnetic waves were found to be leaking from the wave guide towards his body. The electro magnetic waves were leading through the wave guide to the bridge of the ship. Eureka ! was his response and later on he tried and was successful in cooking the meals in a box. The Company followed the procedure to patent the invention. The young in spirit, usually, always want to be straight forward in the matter of desire and execution of sexual functions. Researchers always want to find a cure for weak heart. Viagra ( slidenafil) was tried in various labs. The drug was tied for curing heart and hypertension but failed in repeated experiments. After two phases of testing, researchers came to the conclusion that the drug failed to show promising results for the heart. The test subjects noted that they had the hard on as a side effect. After much deliberation, Pfizer patented Viagra in 1996 and it was approved for use in erectile dysfunction by the U.S. FDA in 1998. Sales of Viagra continue to exceed well over $1 billion per year. Bonus tip: Researchers have found that 1 milligram of sildenafil dissolved in a vase of water can make fresh cut flowers, “stand at attention” for up to a week beyond their natural life course.